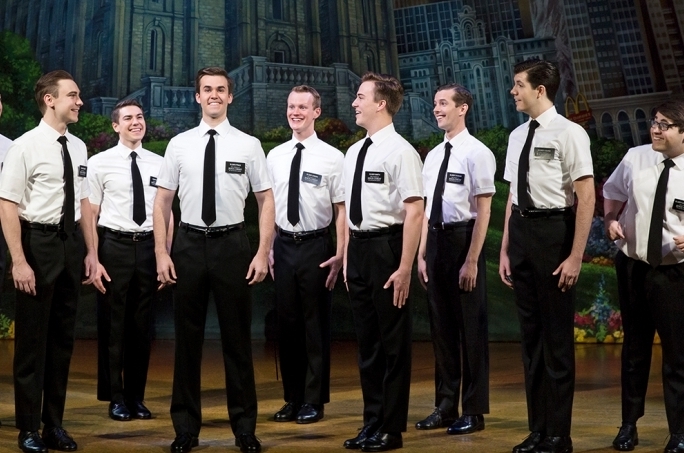 Lottery Announced for The Book Of Mormon at the Fisher Theatre! DETROIT, MI, November __, 2018 – THE BOOK OF MORMON, winner of nine Tony Awards including Best Musical, is pleased to announce a lottery ticket policy for the National Tour, playing at Detroit’s Fisher Theatre, December 4 – 9, 2018. The production will conduct a pre-show lottery at the box office, making a limited number of tickets available at $25 apiece. Regular tickets for THE BOOK OF MORMON start at $39 (includes facility and parking fees) and are now on sale. Tickets can be purchased online at www.broadwayindetroit.com or www.ticketmaster.com, and by phone at 800-982-2787. Tickets can also be purchased at the Fisher Theatre box office. A limited number of premium seats will be available through Ticketmaster and at the Fisher Theatre box office. For group sales (10 or more) please call 313-871-1132 or email groups@broadwayindetroit.com. Tickets for the open captioned performance may be purchased in person at The Fisher Theatre box office or by phone at 313-872-1000, ext. 0. Performance schedule, prices and cast are subject to change without notice.